UPDATE: 12/22/13 – Police have found the body of missing Garret in an unmarked grave, after receiving a report of a possible grave site on Nov. 30. The caller stated they had received information that Rodriguez’ body was buried in a small, open field on private property off Jewett Ranch Road in the Rancho Sequoia area, and that was where Garett’s remains were found. Rodriguez, reported the Eureka Times Standard. Previous story: Garret Rodriguez from San Diego has been missing since late last year, 2012. Garret left Ocean Beach where he grew up to go work on a medical marijuana ranch in Hombolt, that is nicknamed Murder Mountain, which is the Rancho Sequoia subdivision near the town of Alderpoint, about 45 minutes east of the 101 and Garberville. Back in 1968 after a failed dam project, farmers began buying lots and turning them into Marijuana farms. The nickname Murder Mountain comes from serial killers, James and Suzan Carson who murdered a fellow worker on a marijuana farm in 1982 after they killed their Haight-Ashbury roommate and a hitchhiker before moving there. They are also suspected in nine other killings. Two people who are missing are believed to have ended up in that area. 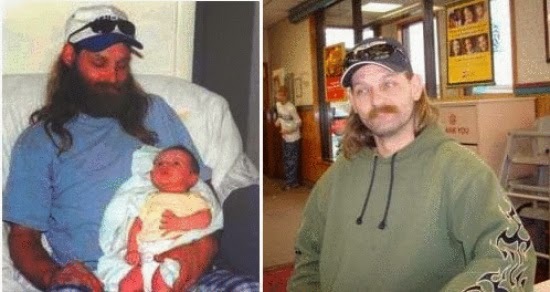 Bobby Tennison aka Builder Bob went missing in 2009 and Garret in around 2013. Bobby Tennison, 37, from Keyes in Stanislaus County came to the Garberville area ion 2008 to get paid for a construction job but when missing. He was supposed to return home on Sunday, Jan. 25, but he never arrived. Garret was last seen Christmas of 2012 and around April friends and family realized they have not heard from him in a while. A missing person reports was filed shortly after. Garret’s truck was found in southern Humbolt where according to his mom, Pamela McGinnis was sold to a new owner. If you have any information about his whereabouts, please call the Humboldt County Sheriff’s Office at 707-445-7251.